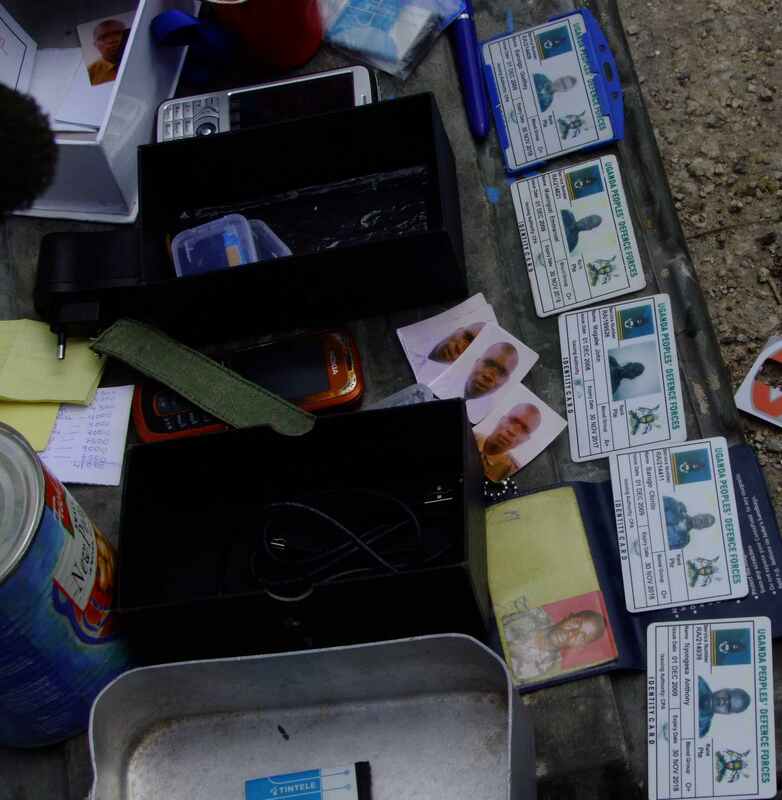 Below are some of the Identity cards of some of the soldiers thought to have been killed by Al-Shabab Islamists in yesterday’s attack on Amisom bases. Mogadishu’s streets never seem to be without a corpse or two. Whether it is the African Union peacekeepers’ bodies being dragged by children on the dusty roads of Mogadishu or bodies of insurgents or the heap of civilian corpses piled on top of one another after being struck by mortars in the Bakara market, the streets in this city have witnessed more horrors than can be imagined. Usually people take no notice of the bodies lying on the concrete pavements and it is often the putrid stench of blood that sharply brings the decaying bodies to one’s attention. 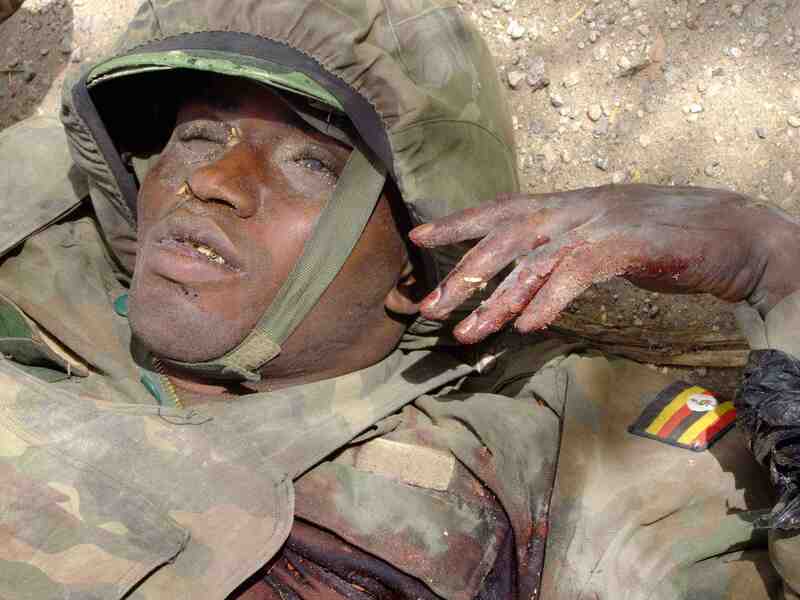 But the stiff corpses of the African Union forces seem to attract an unusual sort of attention in Mogadishu. 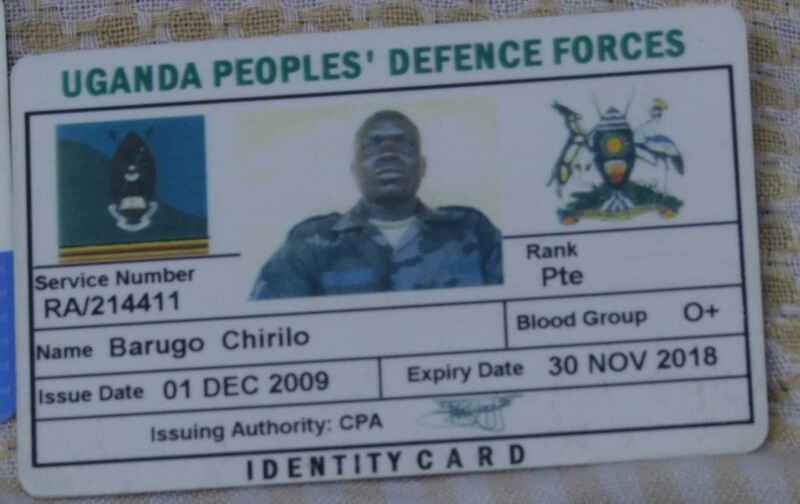 Many residents flocked to the Baar Ubax Street today to witness another public event: the dead body of a Uganda People’s Defence Force (UPDF) soldier killed in a fire fight against the Al Shabab. The Islamists have been parading hundreds of newly-trained fighters in the cities of Mogadishu, Baladweyne, Marka and Rabdhuure in the last few days and have vowed to step up their attacks against the African Union troops and the weak Transitional federal Government (TFG). 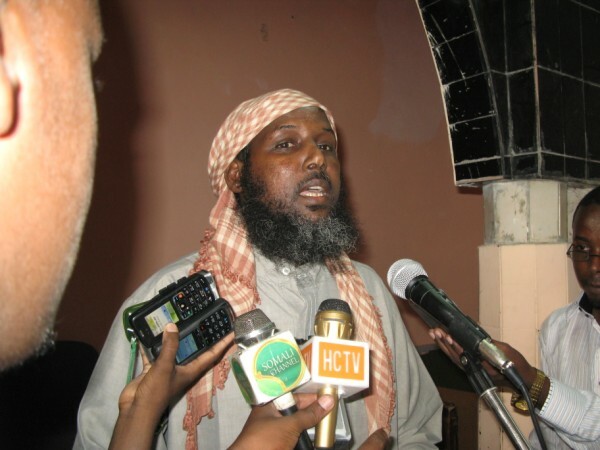 Upon their arrival in Mogadishu, the newly-trained Islamist fighters, known as the ‘Mustafa Abu Yazid Brigade’ in tribute to the late Al Qaeda leader who was killed in an American air strike, immediately began their offensive. By midnight the Islamist fighters launched a surprise attack at one of the Amisom bases near Makka Al Mukarram street – a vital artery that connects Mogadishu’s KM 4 circle to the Presidential Palace and the airport and is also a supply line for the Amisom troops based in those areas – and caught the peacekeepers off guard. 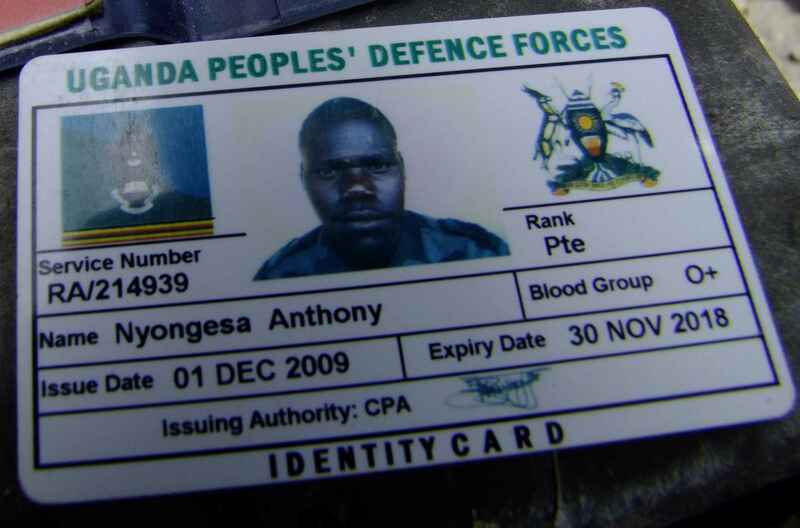 It is reported that up to 5 peacekeepers were killed in the attack and dozens more injured. The wave of nationalism that had engulfed the Somali population during the 1977-78 Ogaden war has now somewhat diminished. Despondency and the inability to regain the Western Somalia have, to some extent, extinguished the flame of pan-Somalism. 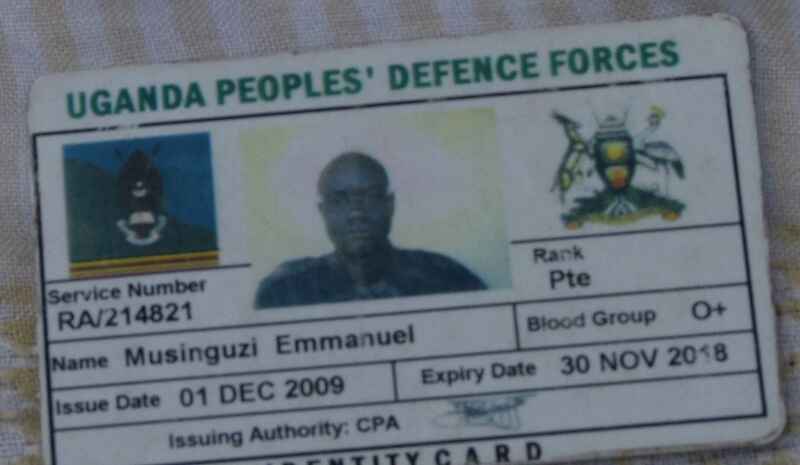 Vicious clan rivalries paved the way towards the speedy erosion of unity and peace. Tribalism, cronyism, nepotism and all sorts of ill-feelings engendered by the poor performance of the Somali regime soon brought about the implosion of the government. Now decades later, that flame has been rekindled. The notion of a Greater Somalia that had remained dormant over the years has now been resuscitated back to life with the Ethiopian invasion of Somalia in 2006. As in the Ogaden war, almost three decades earlier, hundreds of thousands of Somalis contributed men and money in order to expel the invading forces. Sentiments ran high in the capital city and even many estranged Somali youth in the Diaspora returned home to take part in the battle for the liberation of Somalia. The nationalists harbour a profound dislike for the Ethiopian government because of the latter’s repeated incursions into the Somali territory. 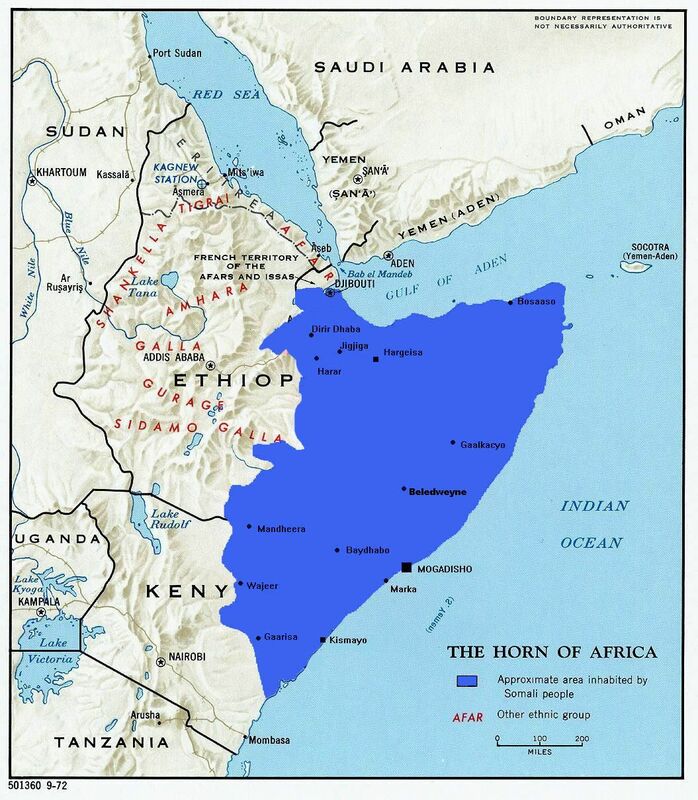 The nationalists wish to wage war against the Ethiopians, provided that they have the means and a leader strong enough to muster popular support, in order to liberate the Western regions of Somalia. But despite their vehemence and zeal, the young Nationalists often lack the political profundity and the abstruse knowledge that defines the dynamics of the centuries-old Somali-Ethiopian conflict. In addition to that, they are not yet fully prepared to sacrifice their lives for the cause, or a handful of them are – and this is the differentiating factor between them and the Islamists. And where the Nationalists are propelled by patriotic sentiments, the Islamists march forth with a spiritual strength and are obliged by a religious conviction – that the Islamic Caliphate must dominate the land. There is a deep wound in the heart of the Somalis that continues to bleed profusely and nourishes the long-held distrust in Ethiopia and her policies. That the North Eastern Province (NFD) and the Ogaden regions are part and parcel of the Somali state is a notion deeply ingrained in the mind of the Somali population in its entirety. And as the years slowly roll by, under the shackles of black colonialism, the lingering hopes of the Somalis imprisoned in those regions also continues to fade. Prompted by foreign meddling and proxy wars that, to this day, continue to shape the political decisions of the region, the protracted cross-border raids between Somalia and Ethiopia have existed for a very long time. There have been several explosive skirmishes at the border between the years of 1960-64 and the flames of the conflict that erupted in the region at that time were doused with a ceasefire between the two countries. But this did not kill the lingering notion of pan-Somalism and the Somali man’s persistent struggle for Greater Somalia. In the run up to the 1977-78 Ogaden war, the Soviets, having given up on the Somalis, deemed that the ground was fertile enough in Addis Ababa for the establishment of a Marxist-Lenin state and thus transferred their interests to Ethiopia, immediately ordering them to expel the Americans who have been at the time giving substantial military aid and advice to the Ethiopians. Soon the Soviets began pouring in state-of-the-art weapons into the Ethiopian capital. As a result, Somalia withdrew from the Treaty of Friendship and Cooperation with the Soviet Union and soon after that, expelled all Soviet personnel from the country. To take advantage of the situation, the United States, having been expelled from Ethiopia, decided to weigh in on the other side and offered support to Somalia, though it soon withdrew the offer shortly after that. 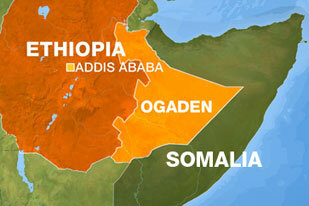 Some of the Somali regions that share a border with Ethiopia have been in a state of turmoil over the past few days. In the shifting patterns of this prolonged war in Somalia, the escalation of violence in the regions of Galguduud, Hiiran, Gedo and Bakool has illuminated some of the underlying geo-political dynamics that are at play in the volatile region of the Horn of Africa. More than 400 Transitional Federal Government (TFG) soldiers, accompanied by up to 300 Ethiopian forces, raided the town of Baladweyn, Hiiran, in order to bring an end to the Islamists’ rule in the region; in Galgudud, hundreds of Ahlu Sunna Wal Jama (ASWJ) rebels attacked Cadaado, the region’s business hub which is governed by a tribal administration, with military equipment and reinforcements readily supplied by the Ethiopian government; in the border towns of Yeed and Ceel Berde, Bakool region, the Islamists are fending off the Ethiopian troops’ aggressive incursions; in the South-Western region of Gedo, TFG troops buttressed by the Ethiopian might and men wrestled the region’s capital, Beledxaawo, from the iron grip of the Islamists. But while the Transitional Federal Government has its own reasons for driving out the Islamists from the region, what are the motives that underpin the Ethiopian involvement? The Ethiopian regime presents itself as though it had been tirelessly working to restore peace and stability to the troubled Horn. Since the fall of the Siyad Barre regime in the early 90s, Ethiopian involvement in Somali politics had become even more overt; helping Abdullahi Yusuf defeat the Al Ittihad Al Islami, led by Hasan Dahir Aweys in 1994 and then helping him reclaim the Puntland administration from Jama Ali Jama during the mid-90’ or actively being engaged in all the national reconciliation programs and the establishment of the Transitional Federal Institutions to date. But when Ethiopia, Somalia’s archenemy, states that its policy geared towards Somalia is one which is enveloped in altruism and mutual goodwill for both countries, this raises a plethora of questions and many Somalia remain convinced that there are ulterior motives to Ethiopia’s ‘neighbourly’ gestures. The statement that Ethiopia is working with a benevolent intent – safeguarding the interests of the Somali populations – is, in the Somali mind, oxymoronic and the theory that Ethiopia, whose efforts is cleverly masqueraded as being philanthropic, is preventing – rather than helping – Somalia to stand on her own feet is highly tenable. It is a busy day here at the Qat stalls located just on the outskirts of the Bakara market. Hundreds of sandalled feet scuttle towards the stalls, in tumultuous excitement, and frantically rummage through the tightly bundled leaves in the hand-woven Qat baskets in order to pick out the moist, tender shoots. 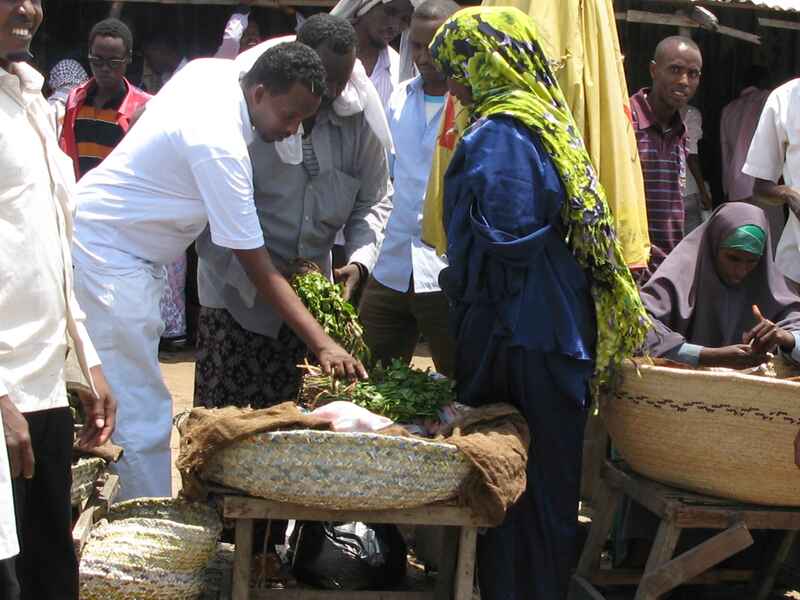 Scores of young men and women visit these stalls on a regular basis to purchase Qat – a mild stimulant with a bitter taste that a large number of the Somali population – in Somalia or abroad – is highly addicted to. Under the commotion and the emotional frenzy, tensions often rise and agitated customers as well as vendors seem to always be in a combative mood. But perspiring under the heat, the wide-eyed, and almost anaemic, Qat-sellers appear to be relishing this kind of atmosphere. ‘Hurry up Waryaa! hurry up! this is the cheapest you can get. Hurry up! Qat is almost out of stock!’ screams one seller, as he wipes away the trickles of green saliva dripping down his chin with a grubby handkerchief. Behind him, dozens of young men sit on the concrete slabs, or squat on the floor, unmindful of the staccato rounds of gunfire in the distant neighbourhoods, and gnaw away at the leaves in a surrounding far less salubrious than can be appreciated. This is a very loud and unforgiving place. Bestrewn with dry twigs, discarded leaves and plastic bags, these squalid stalls, adjacent to the old Cigarettes and Match Factory, receive hundreds of customers a day, but they have now become even increasingly populated since Al-Shabab’s closure of KM 50 airport yesterday. The KM 50 airport was, until now, the largest Qat depot in Somalia. Located in the Lower Shabeelle region, near Afgooye, the airport received an average of 7 plane loads of Qat a day, adding an estimated $1,500,000 a day to the Kenyan economy. The cargo would then distributed to all the cities in Southern/Central Somalia and to individual sellers. The Islamists’ decision to forbid the landing of Qat planes at the airport is by far the toughest verdict, in their long list of punitive measures against the stimulant, to be meted out to the Qat merchants in Somalia, and consumers alike. But how will this decision affect the people of Southern Somalia? In a country where the media is as much a weapon of war as the gun, Somalia’s airwaves are rife with rumours; so the news over the last few weeks of an Al-Shabab split was sort of expected. But despite this, the news, reported by anonymous sources, rocked the country, filling the cities with gossip and the public houses with debate. The locals here were deeply divided on the issue but those attuned to the political circles in Mogadishu, however, understood that Somali politics was a messy business – labyrinths of deception and treachery – so they tend to regard every statement with some level of skepticism. I adhere to their wisdom. But as the rumour gained momentum and traveled beyond the city’s limits and into the villages, saturating the airwaves with the news, anxiety soon replaced the frivolous whispers. If the news was true, then it meant that the predominant influence of Al-Shabab in the Southern/Central regions of Somalia was coming to a rather disgraceful end, particularly, since the Islamists were deemed to have transcended the customary commitment to tribal allegiances with their calls for the implementation of Sharia Law. It also meant that the prevailing sense of safety and stablity in the areas under Al-Shabab administration would soon be jeopardized. But was it true? The streets of Mogadishu have a long history of brutality. Here the body of a Burundian Peecekeeper, who was apparently captured alive by Al-Shabab fighters after an intense battle yesterday in the Northern districts of Mogadishu, is dragged by children in Baar Ubax, near Bakara market. I was told that he has been dragged for the entire day by children until the body was ripped apart and then finally disposed of in a ditch. 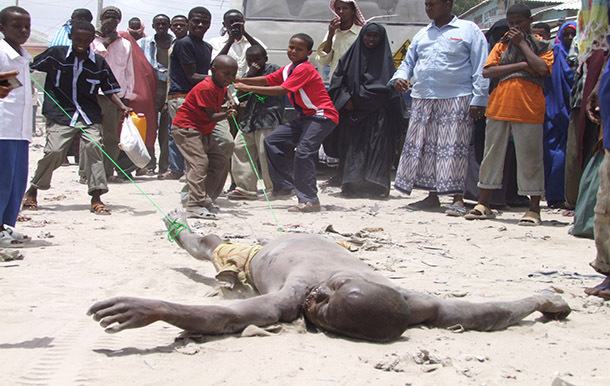 But horrific scenes like these are not as stomach-churning here in Mogadishu as they may seem to the rest of the world. Only a few days ago, dozens of government soldiers’ dead bodies were displayed across Mogadishu’s main junctions. It has become a sort of a daily spectacle, with bodies of slain soldiers often paraded around the city.